If your office is bare, you’re not alone. But what most business owners don’t understand is that interior design is more than a few simple décor choices: it can influence the mood, productivity, and wellbeing of the people in their space—and not always in a good way. With loads of new evidence showing how harmful lean offices are to the physical and psychological wellbeing of workers, it’s clear that it’s time to shift these perceptions and pay more attention to how we structure our work areas. Interior design is more important than ever in fixing these problems and in developing successful long-term business plans—and one of the most effective ways to achieve a winning design is through using indoor plants. Since NASA’s 1980s research into using plants to purify indoor air, there’s been a slew of new studies in support of greening our interiors. The proof is inarguable: plants effectively remove dozens of toxic chemicals and compounds from our air, measurably improving our air quality and our health. But they also have a profound impact on our cognition and mood, which is equally important in promoting a positive and productive work environment. Interior design has never been more important to businesses in metropolitan areas. As the evidence mounts, it shows the enormously negative impact of working in overcrowded yet Spartan workplaces—as well as the power of natural beauty in transforming our interiors to clear our thinking and foster an enormous sense of wellbeing in our workers. Softening the edges of our unnatural habitats, and serving as living, breathing works of art, indoor plants have the power to psychologically influence us into a perpetually relaxed alertness. These effects don’t automatically apply, though. Just like in nature, not all species will suit every environment; making poor choices for the design aesthetic or unique needs of the space will only result in withered plants and the demoralising visual effect it produces. That’s where interior design comes into play: when plants and design are perfectly married, the result is an environment that’s health-giving and inspiring in equal measure. Besides the literal breath of fresh air that plants bring to any indoor space is the visual ambience they create. Plants have an almost magical power to blend into man-made environments as well as they do into natural ones: almost any houseplant will complement almost any style of décor, enhancing the aesthetic of the room without conflicting with the major design elements at play. 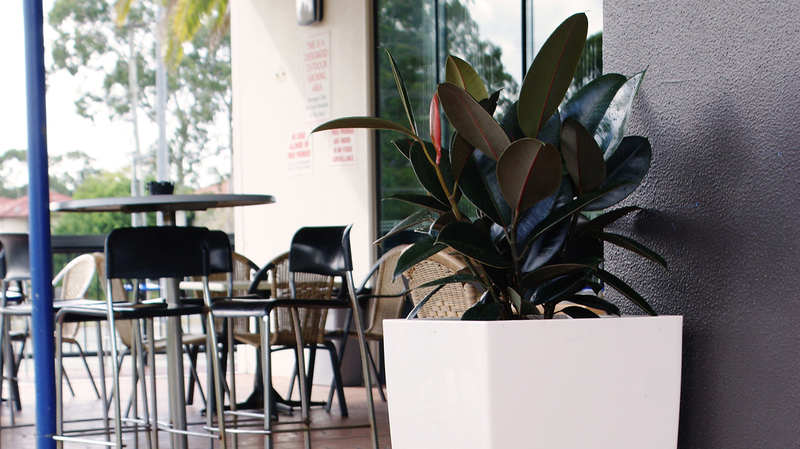 Designers must pay special attention to inclusions like planter pots, but with a trained eye for style and some horticultural knowledge, it’s possible to transform virtually any residential, commercial, or corporate space into a vibrant and welcoming visual feast. 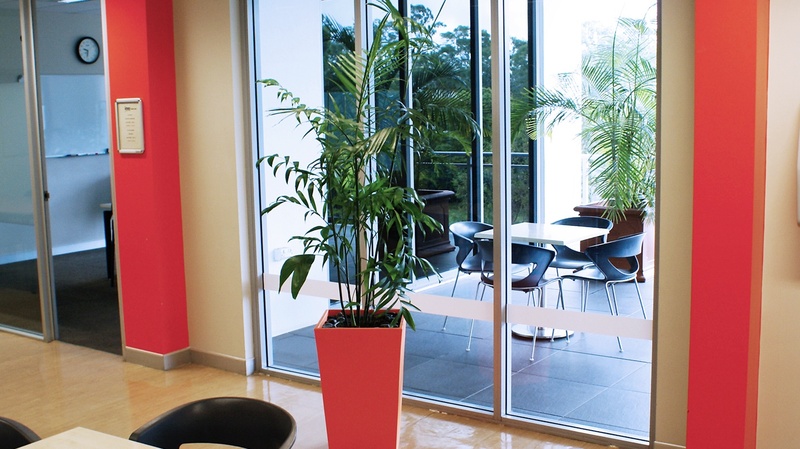 There are many ways a trained plant designer can make use of the natural beauty of plants in office spaces. Depending on the needs and purposes of the business, plants can be used subtly to soften harsh angles or diffuse light; to alter the form or function of a room by screening areas or to mark out designated areas; or simply as striking botanical sculptures in their own right. When designers pay thoughtful attention to what business owners are aiming to achieve in their workplace, plants can be used to positively affect people’s perceptions of the space—and to such an extent that it can result in profound shift towards a more collaborative, cooperative, and relaxed work culture. Combined with the other toxin-removing, health-giving powers of living plants, it’s possible to truly transform the entire business for the better. Green interior designers can radically transform work environments. It does rely on the right training, but when they attend to all the major considerations—including which plants will thrive in the space, and choosing the right plants for the business’s functional and aesthetic purposes—they can influence the work culture, outsider perceptions, and bottom line of the business. One major benefit of investing in green interior design is that comes at a fraction of the cost of making structural changes to the space. It’s not always possible for the business owner to justify making changes, or even make them at all, given the restrictions on some buildings, particularly older ones. But that doesn’t mean they can’t dramatically change the space: indoor plants can rectify many problems in indoor environments, whether it’s remedying poor temperature and humidity levels, muting noise, or simply bringing oxygen into a poorly ventilated or air-conditioned space. They can even remove toxic compounds from the air—poisons like formaldehyde and benzene that are emitted from common office supplies and furniture—that make office workers sick. Removing noxious stimuli alone is usually enough for the business owner to see an improvement in their profits, as it translates almost immediately into reduced sick leave and higher productivity in their workers. The other benefit of taking the plunge into green interiors is more subtle, but according to many recent studies, still measurable. 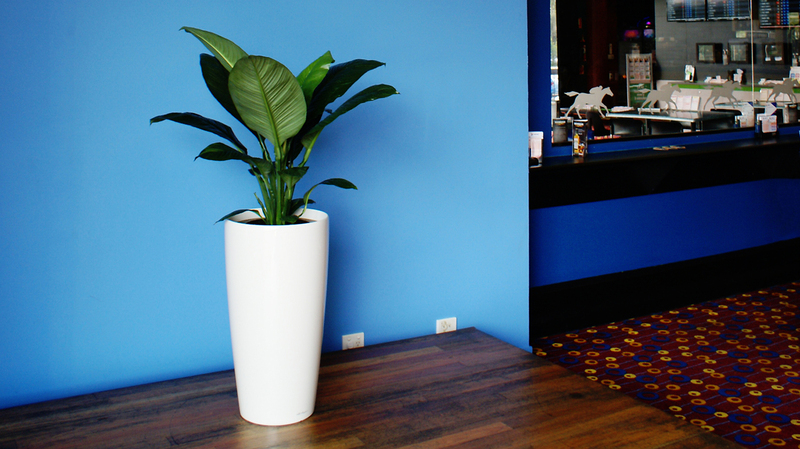 The cultural shift that occurs with implementing indoor plants is profound: staff work better and have higher job satisfaction, while the business enjoys the financial benefits of potential clients’ improved perception. Recent research has revealed that the right plants, whether they’re used as focal points or to subtly influence special perceptions of the space, causes people to associate the business with confidence, luxury, prestige, and peace. 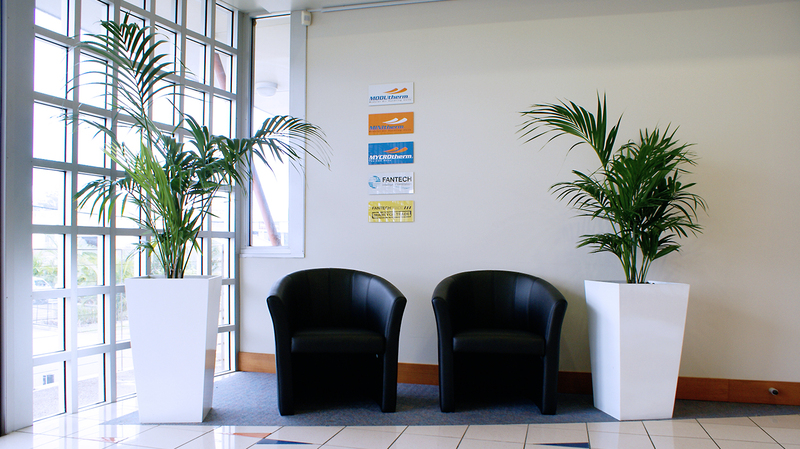 If you’re ready to transform your business with a fresh face and healthier, happier workers, consider indoor plant hire. 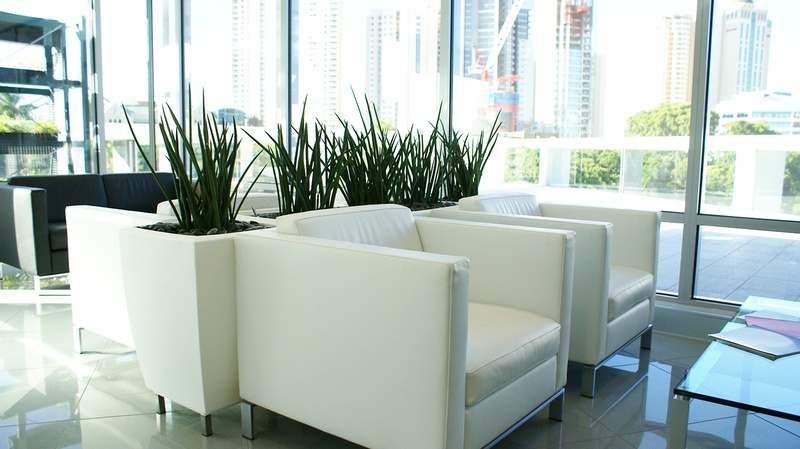 Brisbane business owners can reap the benefits of green interior design without lifting a finger: contact Prestigious Plantscapes anytime for professional advice on improving your workplace, and our fully trained plant designers will be happy to help design your space into a living, breathing work of art.